OBLIGATORY SPOILER ALERT: This post contains spoilers. If you haven't watched the show yet (and for some reason still want to) and have somehow successfully managed to avoid all the spoilers on Facebook, Twitter, and Google+ just to end up here, you can't say I didn't warn you. But why are you clicking on articles about the season finale of a show you haven't watched yet?? So as you have seen or read by now, HIMYM ended up being not so much How I Met Your Mother and more How I'm Pretending to Tell You a Story a About How I Met Your Mother So I Can Really Make a Case for Banging Aunt Robin... Again. It's only the woman who gave you life. Who cares about hearing about her? If I die in the next couple of years, while our kids are still very young, and six years later (while they are still kids, mind you), you spend a shitton of time telling them some convuluted story under the pretext of telling them how we met, but it turns out it is really a story of how you were really in love with your ex-girlfriend/a friend of yours, I will f*cking haunt you until the end of time. Every breath you take, every move you make, I'll be watching—and, more importantly, haunting— you. And her. Oh, and ignoring the fact that a Robin is probably one of the worst options for Ted of all of his ex-girlfriends if he just had to revert back to an old obsession, do Bays and Thomas really expect me to believe that even after six years the kids (emphasis on "kids") are totally okay with their dad dating their Aunt Robin?? REALLY?!?! Although I haven't lost a parent myself, I have known people who lost a parent early (and widowers who lost a spouse when their kids were young). Losing a parent seems to suspend that part of your childhood—you're almost perpetually (particularly during your actual childhood) locked in that state. While as adults, most people don't seem to have a problem with their parents jumping back out there, most kids don't seem to be okay with their parents jumping back out there while they're still young. And it seems to be worse when the widow(er) was actually parading their intended around their kids the whole time. Then it's more like, "So even when mom was alive/dying, you were in love with HER and BRINGING HER TO OUR HOUSE??" Yeah, I'm not buying that whole, "OMG! Yeah! Go for it! Duh!" Pop Culture Girls, I won't blame you if your dad pulls this crap on you if I die early. It isn't your fault. You were young and traumatized, and he wore you down with a nine-year long story about nothing. For the record, though: Match.com. You don't need to sit through some crap story. We met on Match.com. 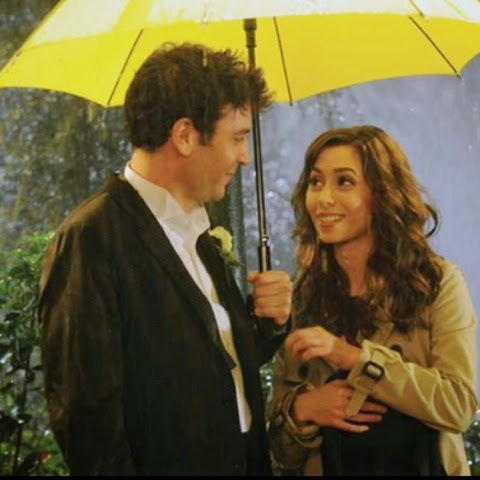 Don't fall for this "How I Met Your Mother" crap. Now you know.